We are still in the second week of pre season games but impressions are already being made. Check out who is rising up the draft boards. Your hottest riser of the week is Chris Carson, whose ADP has been on a tear the past three weeks. Even though the Seahawks drafted Rashad Penny in the first round, all reports out of camp indicated that Carson was firmly entrenched in front of the rookie. Beyond that, he had been running with speed and power, and impressing the coaching staff. Add in an injury to Penny that will keep him out for a month, and Carson looks like he will enter the 6th round by draft day. It looks like the Lions might finally have a legit, between the tackles runner that they have been lacking since Barry Sanders. 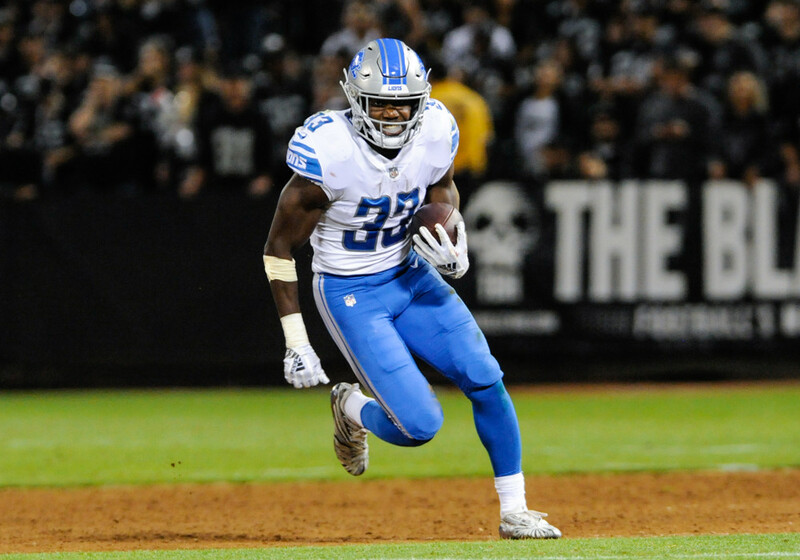 Kerryon Johnson impressed everyone in his first pre-season game and seems to already be ahead of Ameer Abdullah. More data points are required, but he has already seen his ADP jump twelve spots and more positive buzz could see him enter the fourth round. Joe Mixon's ADP has only moved five spots, but considering he was already at the top of the third round, a five spot jump is worth noting. While Giovanni Bernard remains, Mixon looks to control a vast majority of the touches out of the backfield. Beyond that, the Bengals finally attempted to address the offensive line this off season, meaning there should be some more running room. He will probably top out at this ADP, but it's a fair price for the second year player. Corey Davis had an up and down first year in the pros, missing five games with a hamstring injury and failing to catch a touchdown in the regular season. But when on the field, he saw over six targets a game and was a threat during both the Titans playoff games. Davis clearly has the skillset and now owns the number one spot on the depth chart. Expect a healthy return on investment in 2018. It seems like he has been around a long time, but Isiah Crowell is still only 25. Life with the Browns will do that to a player. Unfortunately for him, life won't get much easier playing in a Jets offense that looks like it will be near the bottom of the league in scoring. However, with Elijah McGuire out 6 weeks after fracturing his foot, Crowell will likely have a large touch volume in the offense. Something that is hard to come by in the seventh round. But keep an eye on his injury status, he suffered a concussion in the first pre-season game.